Have you ever been enmeshed in the linguistic quagmire of "tum" and "aap"/ "nee" and "neenga"? Have you faced the confusion of whether to address a person as "tum" or "aap"? The question is relevant to the Indian language speaking audience which distinguishes the elderly and the young/peer-group with distinct second person pronouns. English speaking souls are saved from having such confusions, thereby. Remember the lines from the famous Dharmender starrer movie, Chupke Chupke? "Angrezi badi hi asabhya bhasha hai. Tum ke liye bhi you aur aap ke liye bhi you. Chote bade mein koi antar hi nahi.." Of course, if you don't know whether to address the person as aap or tum, English comes in handy :-) So, I'd say thank God for the Queen's language! 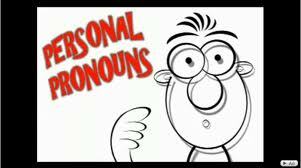 But, you may ask, if it is just the age of a person that determines the nature of the pronoun bestowed upon him/her, then why should it be such a rocket science to address someone? Well, you see, it is a little complicated. Apart from the age factor, there is the factor of acquaintance level, i.e. how well you know the person and also how in the first place you came about to know the person and the social/personal equation with the person. When my husband's friends addressed me as "neenga", in the beginning, I found it very odd. Odd, because, firstly I was not used to being addressed so, and secondly, it felt odd coming from people who are around the same age as I am. Perhaps, the role of second level acquaintance played a part here. Getting to know a person first hand is different from being introduced to as the so and so's wife, I reasoned. However, when I reflect upon the recent friendships (my contemporaries) that I have developed in my apartment complex, I find to my surprise that many of them address me as "neenga" or "aap". It makes me wonder if perhaps, the city-culture places a part too?? In Mumbai, the city I grew up in, people do not bother to get enmeshed in the nitty gritties of the lingo with atleast the contemporaries . The "aap" quickly comes down to "tum" or even "tu" (which may sound harsh or crude to the ears of someone who is used to speaking and hearing the purer form of the language) depending on the level of interaction and comfort factor. So, a friend is always "tum" or "tu" and never "aap". This is ,of course, my observation and I could be wrong. And, this is perhaps the reason for my ignorance or naivety in this matter. The second factor-the social/personal equation with the person- is particularly applicable to the husband-wife relationship. I am not sure how relevant or true it is in today's world because I can only speak for myself and the small circle of friends and acquaintances I am familiar with. As far as I know, there are still many women who address their husbands as "aap" or "neenga". Note that here the seniority of the husband in terms of age is not (just) the factor that warrants the conferment of the "respectful pronoun" but the social status viz-a-viz the wife. The "aap" or "neenga" contains the respect quotient too, you see. In the olden times, the husband used to actually be years older to the wife and also the couple never got the chance to interact freely with one another to reach the same wave-length as the other, emotionally and intellectually. Also, they were bound by social constraints that automatically bestowed the husband with a higher status. Things have changed quite a bit from then. There are a number of marriages that happen without the need for parental intervention in seeking the partner. Even in case of alliances that fructify with the help of the elders in the family, the couple in most average families are given a chance to get to know one another or they stay in a nuclear set-up after marriage to enable the intimacy to develop. The age-gap between the couple has also come down drastically, in some cases, the wife also being the older person. So, I see no reason for the wife to address the husband as "aap" :-) In my opinion, respect for a person cannot be packaged into something so frivolous; it cannot be judged by the way one addresses another. Also, in any relationship, especially marriage, the respect has to be mutual for it to thrive. So, how is that, a husband has the leeway to not address his wife as "aap" or "neenga"? I faced this problem of tum and aap in my early days of marriage. I had always addressed the husband as "nee" (tum) from the very first meeting. I never understood the need to change the pronoun to "neenga" (aap) after marriage, hence, never did (the disapproving looks from some of the elderly community notwithstanding). So, it was always tum as far as the husband was concerned. And, as far as in-laws were concerned, I spent the first few months in the painful endeavour of constructing sentences that avoided the direct alluding of the husband as "tum" in front of them. Soon, and naturally so, the mind got tired of the game and couldn't keep up the levels. I then chucked the hypocrisy out of the window and found to my relief that the in-laws were quite cool about the fact. So, where does all this leave me? Now, am quite used to the way of functioning of the pronouns in this part of the world and I resort to "aap" mostly all the time, even when it sounds ridiculous to be addressing a friend who I see day after day in the park, so. The only hitch is of the old habit which comes in the way and I fumble and flounder at times alternating between "tum" and "aap" in a breadth of conversation. 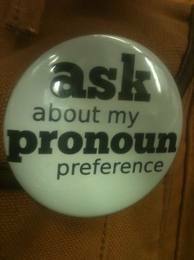 And, what better way to end the confusion and discomfort than to switch to the Queen's language? At these times, I sing a silent "Jai Ho" to English in my mind. Ah! A topic after my heart! 3. RD always tells me that I shouldnt jump to tum/tu without knowing the other person properly..and this applies even to R's friends...RD has got a Sindhi friend whose daughter is 6...I call her tu while her parents call her aap..RD gets bugged when I call her tu..so I am trying to improve and call her at least tum.. The best part was having my paatis called my husband "neenga" after we got married while I used to call him "nee". Then for some years, I used to refer to him as neenga in front of my paatis (tho never directly called him that to his face). Now after so many years, even they call him "nee" or "avan"! In Noida (for that matter in UP/Delhi/MP) even a little child is called "Aap"..So i hear my neighbours, Zini's teachers, her friends' parents and even my maid call children "Aap"!!! That felt like reading my very own experiences ha ha.. Awesome post..... some points worth thinking! I simply detest being addressed as tu by unknown people. I am like do you know me to address me like this? ha :D a big confusion indeed .Just to let you know that you are not alone. I also keep jumping between aap and tum so much that I often forget what I am supposed to say. Thought provoking post. Loved it. Please read my blog if u have time. I was brought up to say AAP and TUM and TUSIN (punjabi), to all I talked. I use to expect that towards me too but now I have got used to it , so it doesnot bother me if someone calles me TU or TUM.. Very nice one. Loved reading this. I can relate many instances. My elder brothers call my wife "neenga" even now. Plus, sometimes it is the tradition. Parents always called the son-in-law as "neenga". Even grand daughter's husband is "neenga". :-) yeah, it does sound quite funny, though..
Nice post Uma .. An interesting subject handled very well .. I usually call my peers 'nee/vaa/poo' even if they resort to neenga vaanga ..
And I totally agree that the husband need not be called neenga .. I feel it would mar the intimacy in some way .. I have noticed another very comical thing that the IT world has brought in .. At work, even a 50 year old person is addressed by name and a nick name at that .. We would have never dreamt doing that elsewhere :) Western influence .. The world is getting complicated indeed!! Interesting post Uma! Aap/Tum confusion does happen at times.. I had a school friend(a girl).. she was a newcomer and she used to address everyone as "aap".. now as a friend i always found it a bit awkward to be addressed as aap.. moreover, i could never address her as "tu"(though i always wanted to) bcz she used to call me aap!! I had sworn to myself not to pick on another blogger's typos anymore, but I couldn't help but giggle on reading this line. And yes, English is sometimes so much more comforting than our native languages. you may have sworn to not point out..but am so glad you did point out the horrible typo here *facepalm*, thanks a bunch, cmus! One last gyaan[I swear], since I have seen this often in your blog posts. 'I'm' or 'I am' in place of just 'am'. Perhaps because Hindi is my mother tongue, I never felt this confusion. The aap easily flowed out for the elders or with respect even for youngsters or people not so close. Tu, I've never used. But, you've brought out the dilemma very well :). And speaking in front of in laws is funny too. Even for me sometimes jaan comes out that I've to quickly gulp down :). wow, interesting to note the nuances, Vibha. The usage of hum is more pronounced within the Rajput community? ?